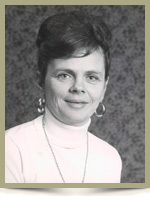 McLeod, Gwendolyn Helen, 72, of Brooklyn, Queens County, passed away on Friday, August 19th, 2011, in the QEII Health Sciences Centre, Halifax. Born in Bridgewater she is the daughter of Gwendolyn “Girlie” (Levy) Wolfe and the late Stanley Wolfe. Gwen helped form the Brooklyn Brownie corps, where she was a leader for a number of years, before becoming a leader with the Brooklyn Girl Guides. She worked many jobs in retail over the years before going to work at the Brooklyn Post Office. She had many hobbies that she enjoyed, such as knitting, rug hooking, ceramics and shopping. She enjoyed traveling with her family to the power boat races they competed in throughout Eastern Canada and the United States and driving to Florida with Reg for winter vacations. She is survived by her loving husband Reginald; sons Terry (Norma), of Sheet Harbour, Gary (Sharon), of Brooklyn, Michael (Ann), of Liverpool, Danny, of Brooklyn; grandchildren Devin, Amber, Cody, Cory; great grandson Ayden; sister Carolyn (Don) Kriwokan, of Surrey, B.C. ; close family friend Wayne, of Lunenburg. We were so sorry to hear of Gwen’s passing. Hold on to the good memories, as they will help get you through this trying time. So sorry to hear of Gwen’s passing, she was so special. I looked forward to her hair appointments every week. She will surely be missed. Our thoughts are with you. Janice M. and Kenny Alexander. I am very sorry for your loss. Gwen was a remarkably strong , loving lady who always had a smile even during the many days she was in pain. She will be missed very much but never forgotten.Gwens family was what kept her going and her grandchildren were her pride and joy. My heart goes out to all of you. To Reg, Girlie and family my deepest sympathy to you all. She was a wonderful person who thought so much of family. May your many memories sustain you through this difficult time. Reg, Girlie and all the Family, I am so sorry to hear of your loss. My sympathy’s to you all. Reg, Girlie & families – Our deepest sympathy in the loss of Gwen. She & I were childhood friends and I will remember her for the happy times we had as kids. She will always be in your hearts. God bless you all. So sorry to hear of Gwen`s passing. She was always so cheerful whenever I saw her, although she was always in pain..
May God grant you His comfort as you go on without her. So sorry to hear about Gwen,My thoughts and prayers are with you all at this most difficult time. We were saddened to hear of Gwen’s passing, Our prayer’s and thought’s are with you at this most difficult time. May God Bless You All. She is now at peace. We are sorry for your loss. Our thoughts and prayers are with you during this sad time. I would like to express my depest condolences &sympathy to all of Gwen s family&friends..our thoughts are with you at this difficult time..
Reg, Girlie and Family. So sorry for your loss. Sincere sympathy to the family. My thoughts are with you at this difficult time. so sorry to hear of your loss, please take comfort that she is safe in the arms of God and has no pain only everlasting peace and love. I am so sorry to hear of your loss. My thoughts and prayers are with you all at this most difficult time. To Norma, Terry and Family, We are both very sorry to read of your mother’s passing Terry. Please know that you are in our thoughts and prayers during this difficult time. With our deepest sympathy and love, John and Judy. Above all, Gwen loved her family. She fought her RA with a smile and a great will to live. A true and dear friend who leaves a huge void in her passing. Gary, Sharon and family…..Susan and I are sad to hear of your mothers passing, Our thoughts are with you at this difficult time. Our deepest sympathy to the family of Gwen. Our thoughts are with you at this very difficult time. So sorry for your loss. Gwen was a wonderful person and will be truly missed. Our thoughts and prayers are with you at this most difficult time. Girlie, Reg and family: I am so sorry you have lost Gwen. She was a lovely person. My Aunt Ruth will miss the evening phone conversations she had with Gwen. Our thoughts are with you. Susan MacLeod and Ruth MacCaul. To Reg, Girlie and family: I am so sorry to hear of your loss. My thoughts and prayers are with you. So sorry for your loss , Our deepest sympathy to the family. Our thoughts and prayers are with you at this difficult time. So sorry to hear of Gwen’s passing. On behalf of the Brooklyn Recreation Committee, we send you our deepest sympathy. So sorry to hear of the loss of your mom. My deepest sympathy to you and your family. Our deepest sympathy to the family.Well Reg I will miss Gwenie when she cam to the Superstore always loved to talk with you guys it made me feel good she was a special lady.She also knew how to make some one feel good I know mom will be in heaven with her and she will be safe with her now.She was a wonderful person god bless you all and me and Theresas thoughts and prayers are with you. Gwen was an important, major supporter of Brooklyn and Sandy Cove Schools when her boys attended our classes. Please accept our sincere condolences for your loss.